Draws in exact draw order per Wright and Ditson with all names complete. Jean Clark= Miss J. B. Clark, who attends Bryn Mawr College, is from Baltimore. Mrs Green= Helen Green. She was wed to Kane Green, a fellow tennis player. Rachel Harlan plays for the Belmont Cricket Club. Thanks to Wolbo for help with this draw. The Wright and Ditson Annual noted there were 4 women in the draw who had won the Nationals at least once; Juliette Atkinson, Marion Jones, defender Myrtle McAteer, and Bessie Moore. Bessie Moore survived a grueling match to win through the All-Comers. In the final she fought back from two sets down and match point at 6-7 to defeat Marion Jones. In the 5th set both women were exhausted to the point of leaning on their racquets. After 58 games Moore had passed her first trial. It was on to the Challenge Round to face defending champ McAteer. Normally Bessie would have have no problems with McAteer, but the long semi had drained her of energy. "With general humidity out in full force" for the Challenge round it was more sweltering than usual. Though "taxed to the upmost", Moore prevailed after 47 games. Utterly spent by playing 105 games in two matches, she defaulted the doubles final. Concerns over the ladies health prompted the USTA to ban 3 of 5 set finals soon after, despite the wishes of most of the women. Last edited by Rollo; Mar 6th, 2017 at 09:20 PM. Last edited by Rollo; Apr 20th, 2018 at 11:23 PM. Dates: June 24 to 27. *Holder Marion Jones "sits out" until the Challenge Round. Neely/Rowland d. E Rastall/Hoskins ???? Bessie Moore won the singles and doubles, but was denied a triple when she and her partner were upset in their first match of the mixed. Bessie and Wylie Grant were the defending champions. Bessie plays a more daring game than the steady Carrie Neeley, who was overwhelmed in the final. The encounter was played before an overflow crowd. Spectators could not find a seat or a empty space on the clubhouse porch. In the challenge round Moore led defending champ Jones 5-2 in the opener before Jones drew level to 5 all. Down the line winners helped Moore secure the set 7-5, The second set was also close, but Jones was unable to extend things to a third. Missing mixed semifinals scores. These matches were played on the last day before the final. Helen P Chapman is from Philadelphia. Helen P Converse is from Philadelphia. Corrine Mock (listed as Mack in some papers) is from Philadelphia. Spalding uses "Mock". Rastall sisters (Dorothy and Elizabeth J) "Pennsylvania State Champions". Last edited by Rollo; Feb 3rd, 2017 at 02:01 PM. Last edited by Rollo; Oct 10th, 2017 at 10:01 PM. Last edited by Rollo; Mar 6th, 2017 at 05:35 PM. There were 2 pairs of Johnsons in the mixed event. Margaret W Johnson and her brother William Temple Johnson were from Staten Island. Sara Coffin was from Staten Island. Margaret W Johnson was from Staten Island. W.T. Johnson is probably her brother. Anetta G. McCall was from Philadelphia (some sources list her as "Anita"). Bertha (nee Townsend) is playing mixed with her brother Henry Clay Townsend. Edward B Dewhurst was from Australia. Henry Clay Townsend Jr was a relative of Mrs Bertie Toulmin, nee Townsend. He was born in 1877. Miss E. Cochran (doubles and mixed doubles only) is from Philadelphia. Some sources list her as Cochrane. Mrs Davis (Mixed only) is from Haddonfield, NJ. The Washington Evening Star had her as "Miss G. C. Davis"
Miss E. Duhring. This can't be Lucy Duhring. Sister Lena Duhring defaulted in singles. Could this be Lena or yet a 3rd (presumably related) Duhring? The New York Timesreports that the women's doubles final was taken by a team "that took few chances, and played mostly from the back court. Miss Homans was the only one of the four who did any volleying. In the long game Mrs Coe and Mrs Platt were superior." In the first set Miss Homans seemed unable to control her usually effective back-hand strokes but at 1-4 down showed marked improvement in both speed and accuracy. Although the general average of the play was inferior to that of years past, Miss Homans' victory was a popular one. Her name will be the first to be inscribed on the new championship cup. In the mixed doubles final "the sharp volleying of Miss Coffin and the all arounf play of Dewhurst earned them victory in straight sets" according to the New Yotk Tribune. Last edited by Rollo; Oct 10th, 2017 at 09:45 PM. Venue: Philadelphia Cricket Club, Wissahickon Heights, Chesnut Hill (St. Martins), Philadelphia, Pennsylvania. *Holder Helen Homans does not defend her title. E Wildey/Mathey d. Cutter/Johnson ???? N Wildey/Tilden d Rastall/James ???? Mary Coates was from Philadelphia. 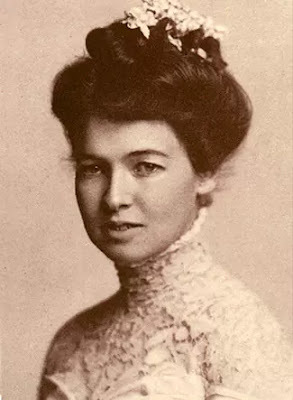 Mrs. Thomas Elwyn Natalie Jenness (Source: 1908 Philadelphia Social Register). She played for Philadelphia CC. Agnes Groome played for Merion CC. Albert Hoskins was President of the Belmont CC. May Sayres was from Merion CC. Emily Scott was from New York. Mary Sears also listed as May Sears. She was from Philadelphia and not related to Evelyn. Spalding and all other sources use W Morris Tilden-but he was known as Herbert Morris Tilden, older brother of legendary Bill Tilden. Defending champion Helen Homans will not attempt to defend her title. She is too busy preparing for her wedding to Marshall McLean, which takes place during the championships. All the women were from the east except for Carrie Neely of Cincinnati. The best American female, May Sutton, is competing at Wimbledon. Bostonian socialite Evelyn Sears wins. Sears is left-handed-making her the first left-handed grand slam singles champion. (June 29, p 10 of the PR). Family ties were prominent-there were 2 Groome sisters, 3 Wildey sisters (Edna, Mildred, and Nathalie) and an even bigger gaggle of Ostheimers, with 4 sisters in all: Elizabeth ("Bessie"), Gertrude, Louise, and Nellie. This may well be a record for a what are now considered major events. In the third round Neely had a tough time with frail Newport socialite Maud Barger-Wallach, who took the second set 10-8. In the last set Maud got a cramp in her arm. When Maud fell to the ground many spectators and officials ran on court to help. Play was stopped several minutes "til she recovered", as Neely resolutely turned down an offer of a default. When play resumed Neely finished off her tired foe. Maud won the title in 1908 and often played with her doctor present courtside! This was the match of the tournament. Neely used her endurance to turn the tide in a three set quarterfinal win over Rachel Harlan. Harlan ran Neely off the court in the first set with cross court shots but ran out of steam as Carrie won 2-6 6-4 6-3. Rachel waits for her opponents to miss, so when Carrie resorted to the same style points went on forever. "Miss Neely was more aggressive at the critical moments" declared The Record. Sears easily bested Mrs Chapman in one semi to await the winner of Neely and Mrs Pouch. The other semi was held two days later due to rain. Starting in the morning, Carrie prevailed in two tough sets before lunch. When the committee asked her to play the final in the afternoon she balked. Officials were ready to default Neely, but Sears gallantly refused to take the title under such circumstances. This put the final off until Monday. Wimer's clever volleying tipped the scales in a close doubles final. Tactics also played a role, as Neely and Wimer hit many winners down the alleys after first hitting to the middle against the Wildey sisters. Evelyn Sears felt she had to default in the doubles due to exhaustion from singles. Last edited by Rollo; Mar 6th, 2017 at 05:43 PM. Holder Evelyn Sears "sits out" until the Challenge Round. Helen Alexander represents the Philadelphia CC. Mrs CW Bumstead (nee Blanche Roberts) is from Englewood, New Jersey. Louise Colton is from Elizabeth, New Jersey. Margaret Curtis is from Boston. Mrs Kern Dodge (nee Helen P Greene) represents Merion CC. Mrs CA Fry is from the Philadelphia CC. Elizabeth Keen was from Belmont CC. Mrs AH McCarthy (nee Elizabeth Larned) is from Plainfield, New Jersey and is a member of the West Side TC. Miss Elsie P. Ross is from the Philadelphia CC. Her address is on Cliveden Ave.
Miraim Steever the doubles finalist is wrongly given as Stoever in some papers. Marion Swords was from Morris County, New Jersey. A record 57 ladies send in forms for the singles. Most of the women stay at the Chenut Hill Academy (formerly Wissahickon Inn), which is right near the gate to the Philadelphia Cricket Club. The large entry prompts the organizers to put matches out in the mornings as well as the afternoon. Severe heat contributed to several defaults early on. Miss Clara Kutroff had to retire after fainting on court. Mrs Maud Barger-Wallach has no real power to speak of. This is offset by her determined steadiness, which wears down many more talented adversaries. She moved through the draw to the finals. Marie Wagner awaited, and won the first set of the semi by her more forceful play at 6-4. The effort spent tired her, however, and Barger-Wallach reversed matters and nabbed the last two sets 6-1 6-3. Most believed that the holder Evelyn Sear would make quick work of Barger-Wallach in the Challenge Round. Service counted for little, and all the match was contested from the baseline. 15 and 20 shot rallies were common. After splitting sets the ladies took a break. The third set was a corker. Mrs Barger-Wallach squeezed past Sears 6-3 in the decider to become the new US Ladies Champion. A discussion of ladies ages is taboo in 1908. Posterity records Mrs Barger-Wallach is aged 38. Only Molla Mallory (aged 42 on winning in 1926) is an older US Women's singles champion. The doubles final ends at 9-7 in the last set. No doubt it was more exciting than the singles, as all 4 women actually volleyed. Last edited by Rollo; Nov 22nd, 2018 at 06:12 PM. *Holder Maud Bargar-Wallach "sits out" until challenge round. Hazel Hotchkiss/Edith Rotch d. Dorothy Green/Lois Moyes 6-1 6-1. There were 3 Disston sisters in this event. Helen Deshler is from New Brunswick, New Jersey. Claire Johnson is the younger sister of Wallace Johnson. Anna Krumbhaar=Mrs Charles H. Krumbhaar. Annette Rankine=Mrs W. (William) B. Rankine is from New Canaan, Connecticut. Gwendolyn Rees is from St. Paul, Minnesota. Edith M Schenck is from New Brunswick, New Jersey. She is likely to be the sister-in-law of Mrs Warren Schenck. Emily Scott is from New York. Margaret Tidball is from Fort Monroe, Virginia. Ralph Elliott Coleman (1888-1910) attended Yale. He killed himself in 1910. Fitz Eugene Newbold=F. E. Newbold. Born in 1893, he was the son of the famous player Arthur Newbold. John L. Stoever was from Philadelphia. The entry not as large as in 1908-there was no preliminary round. On the first day the first two rounds were played. Californian Hazel Hotchkiss utterly dominates the field, walking off with the triple crown. Earlier in the week it was unclear if the holder Mrs Barger-Wallach intended on playing the Challenge Round. As of the semifinals she still had not made a decision. She was practicing all week with male hitting partners. In the end she decided to play despite a recent illness. Hazel waltzed through the early rounds. The other strong player was Louise Hammond. Luckily they were on opposite sides of the draw. In the All-Comer's final they produced a dilly of a match. Hammond passed Hotchkiss at net repeatedly in the first few games. Hazel hung back more than usual as a result, dropping the first set 6-8. Louise ran out of steam in set two and Hazel once more stormed the net to win it 6-1. Loiuse fell behind 1-3 in the last set. It was here she made her last stand, passing Hazel 5 times to level matters at 3 all. Hazel broke back to eek out a 6-4 victory. In the Challenge Round she destroys Mrs Barger-Wallach, the defending champion. Hotchkiss drops only 6 points in the entire first set, concentrating on Maud's backhand. Leading 4-0 in the second set she allows the defender some pride by playing exclusively to Wallach's forehand. Mrs Wallach wins a game and the audience knowingly applauded Hazel for her sportsmanship. Hazel Hotchkiss is so impressive that critics declare her the greatest ever player seen at the US Championships with the exception of possibly May Sutton. Last edited by Rollo; Nov 22nd, 2018 at 07:31 PM. Holder Hazel Hotchkiss "sits out" until the Challenge Round. Miss B. Chanveau played for Belmont CC. Mrs A. J. Drexel Paul=nee Isabel Biddle. Mrs. WG Fischer was a member of the Germantown Cricket Club. Mrs. D. Griscolm perhpas married to Rodman E Griscom, a tennis official at Merion CC. Hammond later married as Mrs. Raymond. Sophie Meredith was from Richmond, Virginia. Miss H. E. Mills was a member of the Philadelphia Cricket Club. Claire Oliphant= Mrs Oliphant from Trenton, New Jersey. Miss Pilling played for the Germantown Cricket Club. Margaret Tattersfield played for the Germantown Cricket Club. Early draws list Miss Sayres, but other sources (such as Wikipedia) list it as Sayers. Miss Biddle and Mrs Drexel Paul, doubles semifinalists, were sisters. 1911 Wright and Ditson Annual. pages 43-45. American Lawn Tennis reported that there was "a lowering of class" as "many contenders of former years" were absent, especially May Sutton, who entered the Canadian singles then went back to California. Also missing were the 1907 and 1908 champs Evelyn Sears and Maud Barger-Wallach. Miss Moyes the first ever Canadian female to make a slam quarterfinal. Hazel plays "essentailly a man's game". She quickly overcame her finals opponent, the match lasting 34 minutes! The final was full or errors on both sides, especially in the opening set. Hazel served it out at 5-4 ahead after the game had been deuced once. Hazel picked things up in the second and ran away with the match. In the ladies doubles the most excitement came in the quarters, where Green, who "played brilliantly at the barrier(net)" and Canadian Moyes, with her many aces, gave the champs a real fight. After a short rest Miss Hotchkiss came out and won the Mixed for an impressive "Triple" in all 3 competitions. Last edited by Rollo; Jul 12th, 2017 at 12:59 PM. *Holder Hazel Hotchkiss "sits out" until the challenge round final. Wright and Ditson uses "Preliminary Round" for what the New York Times calls the first round. Miss N. Katzenberg. Probably close female relative of Edith Katzenberg. Edith's only known sister was Elizabeth ("Bessie") D Katzenberg. Flora Harvey=Mrs Gilbert Harvey of Buffalo. Constance Warren=Mrs Joseph Warren of Longwood CC. The New York Times report on the final read: "In a match replete with sensational features, which kept the large crowd constantly on edge, Miss Hazel Hotchkiss, of Berkeley, Cal, this afternoon successfully defended her United States lawn tennis championship title.." Hazel eked out a close 10-8 opening set. The next chapter was short, with Hazel losing only 8 points the entire set after a 1-0 deficit to sweep the next 6 games. Florence was able to do what so any others can't : namely to prevent Hazel from coming to the net. At 6-5 40-30 Florence held match point but could not break through. Hotchkiss resorted to lobbing at times in the 3rd set, often with success. The Times reports that 1,000 people watched the women's final. Rain put off the ladies doubles until the next day, June 18. When it was all over Hazel Hotchkiss reigned as triple champion, having won the singles, doubles, and mixed events. Last edited by Rollo; Apr 17th, 2018 at 03:25 AM. June 10 to 15 at Philadelphia. Draw of 35. *Hazel Hotchkiss does not defend her title. Last edited by Rollo; Oct 11th, 2016 at 01:39 AM. Holder Mary Browne "sits out" until Challenge Round. Miss Collins d. Miss Patterson 6-2 0-6 ?? Mary Browne (holder) d. Dorothy Green 6-2 7-5. The singles and doubles finals were held on June 14-the mixed on the 16th. None of the usual sources are very helpful this yrar in providing full names or even initials. Miss Henry probably=Elizabeth or Gertrude H. Henry. Miss Talman played for Belfield. Miss M. Williams played for Merion. May Coates represented Merion CC. Agnes C. Kennedy represented the Philadelphia CC. Anna Krumbhaar=Mrs C. H. Krumbhaar. Jacob Disston is Dorothy and Lucy's brother. William Tilden=W. M (William Morris) Tilden of Chesnut Hill. Brothers Bill and Herbert Tilden were from Germantown. Mary Browne repeats as champion. The NYT report on the final read: "The championship in singles was more closely contested than expected. Miss Green pushed the champion hard, especially in the second set. Neither player appeared at her best, due in a great measure to the extreme heat. Miss Browne's game seemed to lack the snap and dash which was the feature of her play in the Philadelphia and Eastern States tournament a week ago. All through the match Miss Green hit the ball fully as hard as the Californian player, and as long as she could keep her her oponent to her own style of back court game, the Philadelphian played even. But when the champio suceeded in taking her stand at net she had Miss Green at her mercy." Last edited by Rollo; Jan 21st, 2019 at 06:57 AM. Venue: Philadelphia Cricket Club, St. Martin's, Philadelphia, Pennsylvania. Eleanor Carey is from Baltimore. Margaretta Myers is called Marion by the NYT. Mrs Edward Raymond=married name of Louise Hammond. Mrs Hoxie Harrison Smith=Ethel Sargeant Clark, Married to Mr Smith 11 May,1914. Mary M Williams played on the Cynwyd team. Hannah P Wright is from Philadelphia. Jack Disston=J. S. Disston Jr.
Joseph R Rowland was the mixed RU with Miss Myers. Mary K Browne is at the apex of women's US tennis for the third year-taking the "Triple" (singles, doubles, and mixed) just as she did in 1912 and 1913. Perhaps it should be labelled the triple-triple! Browne dropped the middle set in the Challenge Round vs Marie Wagner. On either side of the 2nd chapter she totally dominated. Seemingly on track for an easy victory after a 6-1 lead, "the champions game went to pieces", according to the New York Times. After the rest break Browne quickly reasserted herself to sweep to victory. The Times relates that Mary won the ladies doubles with her "sister" Mrs Robert Williams. This is almost certainly an error, as no other source even hints at a family connection. Mrs Williams was Louise Hammond by birth. Last edited by Rollo; Jan 21st, 2019 at 01:33 AM. Augusta Chapman/Joseph Carpenter d. ???? The Evening Ledger lists the 1st Round in singles as the Preliminary Round. Lily Cheston listed as Miss E (Elizabeth?) Cheston. Alice Cunnongham is from Boston and plays for Longwood CC. Alice F Fleisher plays at Philmont CC. May A Fleisher plays at Philmont CC. Eliza M Fox represnts the Germantown CC. Emily Kennedy is liated as Emilie Kenedy for the Evening Ledger. Anna Krumbhaar=Mrs Chalres Hermann Krumbhaar, nee Newbold. Dorothy Newbold is her sister. Eleanor C. Lindley is from the West Side Tennis Club in New York City. Dorothy Newbold=Miss D. E. Newbold. Edith Runk plays for Merion CC. Evelyn Runk is probably her sister. William Landreth= W. L. (William Linton) Landreth. Hazel took the first set, but in scurrying around the court depleted her reserves. At 5-4 she overcame two deuces to hold serve for the first set. Then the tide turned for good. Molla's "man-like forehand drive flashing by the fast fading Longwood star again and again for aces. Mrs Wightman fought gamely but uselessly to the end, refusing to listen to the suggestion made by her friends that she default..." Hazel earned a meager ten points in the final set. Spectators gave Molla generous applause despite the fact she played under the Norse flag. According to the Pittsburgh Press, "The young amazon of the North, strong of sinew and absolutely tireless, seemed filled with the spirit of the Berserker, and simply beat down her adversart for the force of her attack." Molla is still perfecting her English. The effect is charming. Her way of asking if she has to play two matches in one day, "Has I to play again today?" The low bounces on grass also bother her early in the event, when she declared "I do not like the turf as much as clay". Grass favors her fast pace however, and The Norse girl adjusted quickly. Mrs Wightman caught some luck in the 4th round vs Mrs McLean, the 1906 champion as Helen Homans. McLean won the 2nd set 6-3 as Wightman was tiring fast. The ladies went off for the customary seven minute rest between sets. They didn't come back on for 20 minutes. A rested Hazel Wightman recovered from 0-2 down and 30-40 down to sweep the next 6 games. Last edited by Rollo; Aug 24th, 2017 at 04:48 PM.